Water flows from the No. 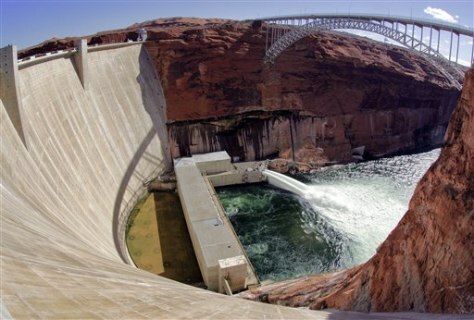 1 and 2 jet tubes at the Glen Canyon Dam on Wednesday in Page, Ariz. The Department of Interior is experimenting with high flows of water from the dam.